The sponsorship undertaking is commitment of a sponsor to provide financial support and basic needs for the individual that is being sponsored. The purpose of the sponsorship undertaking is to ensure the principal applicant (the person who is being sponsored) will have all basic necessities to life, including food, clothing, utilities, personal requirements, shelter, fuels, household supplies, healthcare (eye and dental )that is not provided by public health, and so on. Please note, your obligations as a sponsor begin as soon as the person you are sponsoring arrives in Canada. If you are a Canadian citizen, you can sponsor your spouse while living outside of Canada. However, if you are a permanent resident, you cannot sponsor if you live outside Canada. Regardless of your status in Canada, you must reside in Canada once the sponsored person becomes a permanent resident. The answer is no. Immigration, Refugees, and Citizenship Canada only allows you to sponsor your spouse whom you are legally married to. 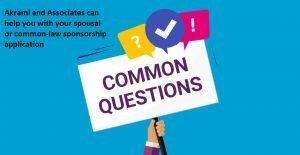 You must wait until you are legally married to be eligible for spousal sponsorship. 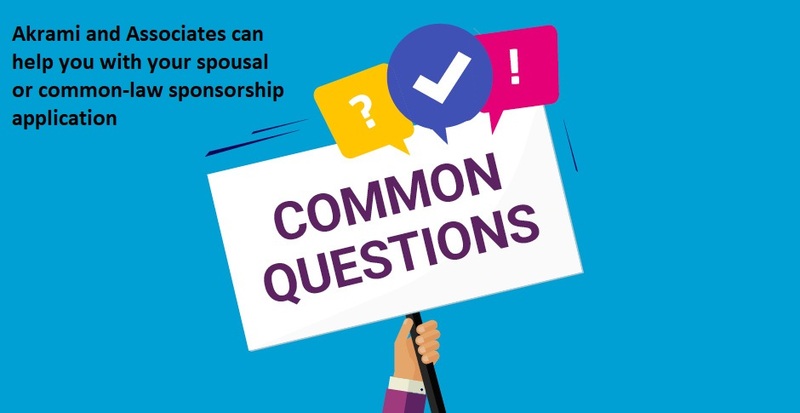 Alternatively, you and your partner may be eligible to apply for a common-law sponsorship, if you and your partner have lived together for at least a year in a marriage-like relationship. In order to prove your cohabitation that is at least a year long, you need to provide documents, such as shared ownership of residential property, joint leases or rental agreements, bills for shared utility accounts, and so on. How did your relation develop? Describe the accommodation where you both lived? How many rooms were in the house you lived in? Who does/did the cooking and the laundry? When did you for vacation together? Where did you go? What does your partner or spouse have for breakfast? What is your partner or spouse’s favourite drink? What sports or hobbies does your partner have an interest in? What is your spouse’s or partner’s date of birth? Does your spouse or partner like his/her job? What kind of movies or music does your partner enjoy? Sponsoring your spouse can help your family reunite in Canada. You may also enrich your spousal by giving him/her a chance to live and prosper in a country that is culturally diverse and welcoming. Furthermore, Canada may gain productive permanent residents to help contribute to the Canadian economy. However, applying for sponsorships can be very confusing and overwhelming, as there are different types of requirements that you would need to meet. It is important for you to pay close attention to every detail during your application process. The failure to do so could result in application refusal. Ultimately, it could make you ineligible to sponsor any individual in the future, or make you inadmissible to Canada if you are the principle applicant. Therefore, it is highly recommended that you seek professional help. Here, at Akrami & Associates, we work and have experience with many different immigration issues. We have helped many of our clients obtain permanent residency in Canada through the different types of sponsorship. If you have any questions regarding sponsorship applications, or if you would like to book a consultation with an immigration professional for more advice, please feel free to contact Akrami & Associates at 416-477-2545.